Whoa! 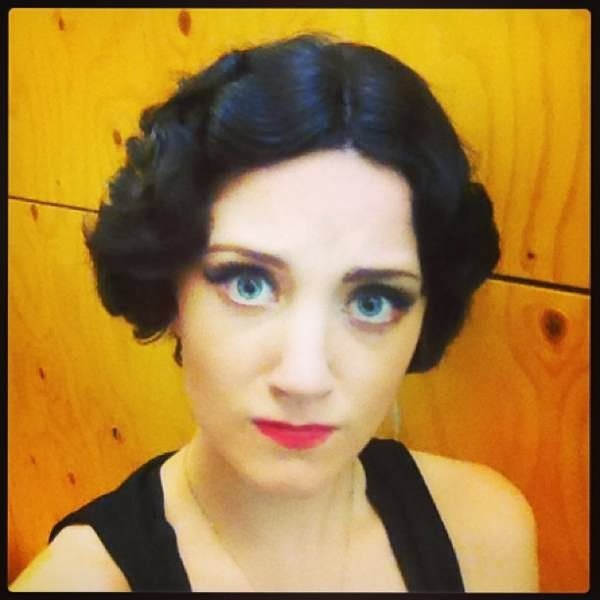 Here's a shot of Evanna Lynch is her full Bess Houdini makeup. This was posted to snitchseeker.com and appears to be from Instagram (although not from the official houdinitheplay page). What's exciting about this is, until now, I thought the actors were going to do this play in minimual makeup. At least all the pre-publicty shots of Evanna have shown her sporting her (Janet Leigh-like) long blonde hair. But it looks like we'll be getting the full Bessie from Evanna, and I think she looks fantastic! 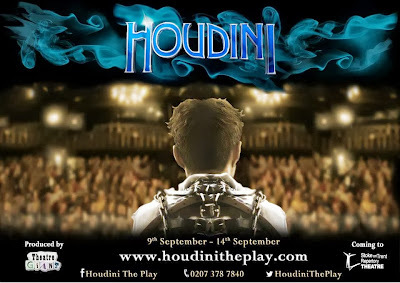 Houdini also stars Jamie Nichols as Harry and Stuart Brennan as Theo. The UK production is set to open at the Stoke-on-Trent Rep Theatre this Monday, September 9, 2013. Visit houdinitheplay.com for tour details and to book tickets.